Devil May Cry 5 director Hideaki Itsuno revealed in a recent interview with VideoGamer that if given the choice, he would rather work on a new game in the series rather than a remake. After the success of Resident Evil 2 Remake, fans have been curious about whether Capcom might also be interested in remaking some of the older Devil May Cry games. At a recent DMC 5 event, Itsuno commented on whether he himself would be interested in remaking one of his previous games. 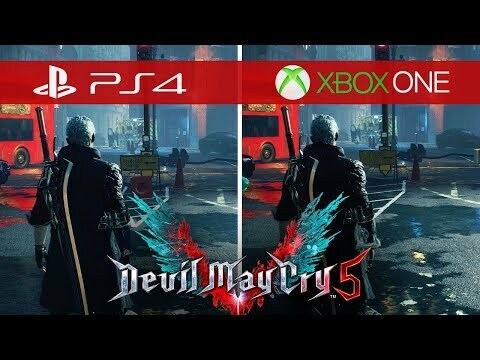 Itsuno said, "It always becomes a matter of, well I could make a remake of Devil May Cry 2, or I could make a Devil May Cry 6. [I’m] generally going to be interested in making the brand new game, you know?" It's not too surprising that Itsuno would rather make a new game if given the choice, but after Resident Evil 2's success perhaps a Devil May Cry 2 Remake could be on the table? It's all down to whether Capcom themselves are into the idea or if they'd rather see a new game too. Devil May Cry 5 is heading to PlayStation 4 and Xbox One on 8th March. You can check out our latest gameplay preview for it below.